Dr. Paul B. Silberman- Dentist in Waldorf, MD. I post about different topics, which may be of interest to our patients and friends. The Boiling Water Challenge is a recent trend since much of the country has record-setting frigid weather. Go to #boilingwaterchallenge. You will see pictures of a frosty mist, which can look quite spectacular. It may look cool to throw boiling water into the air and watch it instantly freeze in frigid weather, but it is very dangerous. Both bystanders and people throwing the water were burned. Discuss this with your teenagers who can see this on Facebook, Twitter, and other social media sources. It is crazy but true! 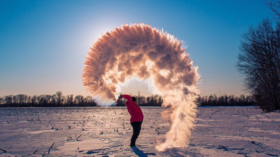 People took pots or cups of boiling water and launched the water into the cold air to create a picturesque frosty mist. Hospitals throughout the country are warning against doing this. Many people have ended up hospitalized in burn units. Some were burned when a person threw the water just as a gust of wind came along and blew it back on their face. Other burn victims were bystanders because the wind blew the boiling water on them. There is no safe way to try this. No matter how frigid the air may be, don’t assume that it can cool off all the boiling hot water quickly enough. Loyola University Medical Center burn surgeon, Dr. Arthur Sanford, warns people that there is no safe way to do this. 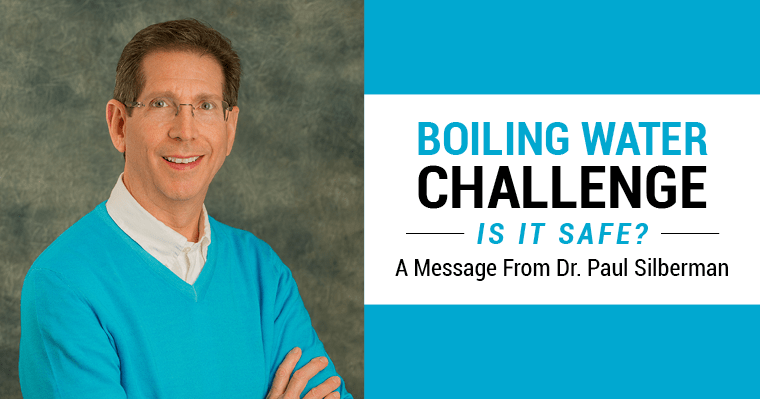 For more about what Dr. Sanford says regarding boiling water challenge, go here.